Guided meditation helps kids find a way to relax, get focused and calm their busy minds. In doing so they sleep better, grow their self confidence and are able to focus better during class. Listening to a guiding voice during meditation helps them to focus on the imagery that is being suggested, enabling them to achieve relaxation of their mind and body. Accompanied by soft music or sounds of nature, it is a wonderful form of meditation that can help them to achieve inner peace. 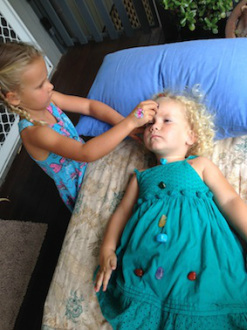 During these classes the kids will be introduced to Guided Meditation and Crystal healing. It will be a fun filled 45 minutes where there will be plenty of hands on crystal healing time.